Santana Row hosts “Cars & Croissants on The Row,” a monthly gathering for exotic car owners and car enthusiasts. We’re talking up to 50 cars like Ferraris, Maseratis, Lamborghinis, Aston Martins and more. Plus we’re told that there is often complimentary coffee and croissants while supplies last. 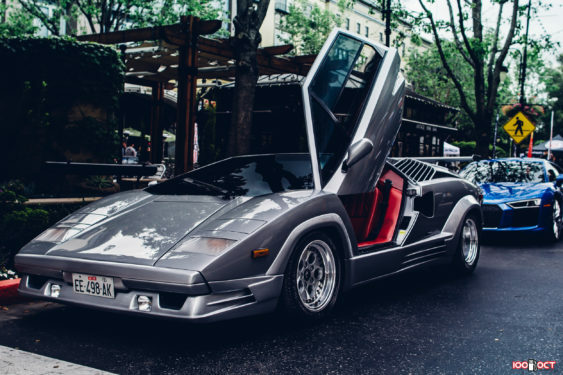 On the fourth Sunday of the month (every other month), exotic car owners are invited to park on Santana Row Boulevard from Alyssum Lane to Tatum Boulevard, display their car and mingle with other enthusiasts. This event is free and open to the public. There’s an even bigger event in Menlo Park on the first Saturday of the month with over 100 exotic and classic cars.